These are questions as old as humanity itself: why are we here? where did everything come from? what does it all mean? Humanity has tried to answer these questions in a multitude of ways. It is, in my opinion, the reason religion started, as one way to answer these questions. One way, with a nearly never-ending variety of answers. Philosophers had been the standard bearers of more systematic approaches to understanding and answering these questions, but also with a vast variety of results. Relatively recently, science has also weighed in. As science evolves, the insights into these fundamental questions also change, from the clock-work determinism of Newtonian mechanics to the relativistic view of Einstein’s universe to the inherent randomness associated with the Copenhagen interpretation of quantum mechanics. 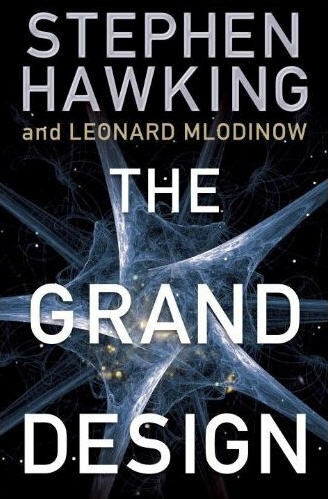 The Grand Design, by Stephen Hawking and Leonard Mlodinow, is the latest attempt to use modern physics to try to answer some of these questions. 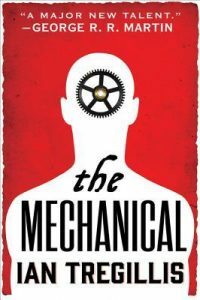 Regardless of what you might think about the authors or their basic premise, the book is both very easy reading and gives some interesting perspective into what modern physics “means”. I put means in quotes because there are two very different camps about finding meaning in modern physics and, in particular, quantum mechanics and its brethren quantum field theory and quantum chromodynamics. One view is that the math that underlies these theories is just that, math, and should not be interpreted any more deeply than that. The words we give different constructs in that math, such as “path” or “particle”, are the consequence of our trying to impose familiar concepts onto physics that are entirely outside our ability to make direct connections to. The other view is that one can take a more literal interpretation and see where it takes us. That is the view of Hawking and Mlodinow. The strangeness of quantum mechanics can be summarized in one simple experiment, the double slit experiment. As the name implies, the experiment involves a board or paper or some obstacle in which two slits have been cut. If you imagine throwing particles at it, each particle goes through one or the other slit and the pattern that appears on the detector on the other side consists of two groups where the particles hit the detector. Imagine throwing tomatoes at the slits. On the other side, you’d get two stains corresponding to the two slits. However, when you throw quantum particles at the slits, you get a much more complex pattern, an interference pattern, a pattern that is associated not with particles but with waves. If a wave passes through the two slits, such as a wave in water, it will go through both at the same time, interfere with itself, and create an interference pattern that consists not of two groups of “stains” on the detector, but many at a given interval. The amazing thing about quantum mechanics is that you get this interference pattern even if you throw one particle at a time. What is the particle interfering with? Itself. One way to formulate quantum mechanics, developed by Richard Feynman, is that the particle, an electron perhaps, takes all paths from where it starts to where it ends. That is, you have to integrate over all possible paths. This is the mathematical construction and is where Hawking and Mlodinow take the next step. They interpret Feynman’s “path integral” formulation of quantum mechanics as saying that the electron did take all possible paths. However, in any given universe, clearly it only took one, so there are other universes where the electron took a different path. This is the so-called Many Worlds Interpretation of quantum mechanics. In the Copenhagen interpretation, the electron only did one thing, but that thing was random. In the Many Worlds interpretation, the electron did all things, but in different universes. Further, Hawking and Mlodinow take the additional step in saying that Feynman’s path integral formulation says that the electron we see could have had one of many histories, so that history is also an indefinite thing. I have to say that I don’t understand everything they are claiming. I’ve had a few courses in quantum mechanics, but they were certainly more focused on calculating things than interpretation. So, here, as in a few other spots, I don’t follow everything they say. But, if you then apply this interpretation to the universe as a whole, you end up with the conclusion that there are an infinite number of universes and each has its own physics in the sense that the basic physical constants of each universe are a bit different. We happen to be in one that has the right constants for life to exist. This is a variant of the weak anthropic principle, which says that the world we live on is one of billions that just happened to have the right conditions. That there are such planets is not surprising, given the shear number of them. Applied to the whole universe, this is harder to suggest. If there is only one universe, it had to be just right, but there were no other random choices, so its a much tighter constraint, called the strong anthropic principle. However, if you have an infinite number of universes, each with its own constants, then we again are just in the one that of course supports life. The others don’t. The strong anthropic principle again becomes weak. They make further claims, such that at the beginning of the universe, time as a concept breaks down (in the four-dimensional space-time of relativity, time becomes more space like in those first few moments) and there is no beginning. They suggest it is the same as asking what is south of the South Pole. Well, nothing, the question is meaningless. To them, what occurred before the universe was created is the same meaningless question. This line of reasoning also suggests to them that there is no need to invoke a God as creator of the universe. The universe comes about naturally as a consequence of the laws of physics. I don’t feel like I’m giving the book nor Hawking and Mlodinow’s ideas justice. The book is certainly very interesting with a lot of deep concepts that will take a few readings to absorb more fully. However, the ideas are presented in a rather logical and straightforward way that I found compelling. I thought they did a good job of presenting their reasoning. Along the way, I also learned quite a bit about modern physics that I hadn’t appreciated. The only complaint I have is that the book is sprinkled with “jokes”, phrases that are meant to be amusing or to connect with the lay reader, but to me they were just jarring and out of place. I think the book would read much better without those phrases. Overall, while the book has generated its share of controversy, I would recommend it to anyone interested in these big questions. You may not agree with them (some reactions, positive and negative, are here), but it will give you a different perspective on what these questions mean and one view towards understanding the universe around us.